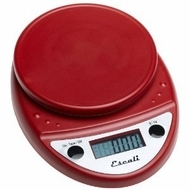 The Primo digital scale by Escali is an economically priced and easy to use scale. Its many details include two-button operation and compact portable design. The Primo was rated "Best Value" by a leading independent consumer magazine.